Bikini season, a wedding, getting healthy, a vacation, getting back at your ex-lover, losing pregnancy pounds,... These are all different but very common reasons why people want to shed weight. Some better than the other, but as long as you get driven to work on yourself you're on the right path. Big Rich Dubai has come up with a very unusual reason for their citizens to loose those extra pounds. They are willing to reward their overweight citizens with grams of gold for the weight they will lose during a period of one month. In Dubai half of the people are considered overweight and diabetes is on the rise. This is why the government has come up with a way to motivate their citizens to go that extra mile. 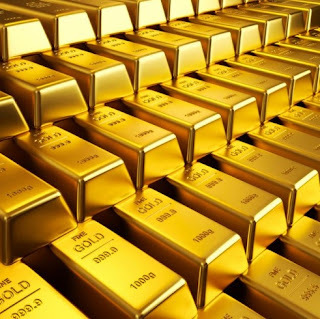 For each kilogram (2,2 pounds) they loose, they will receive a gram of gold, which is worth $45. Participants also get the chance to win a $5000 golden bar at the end of the program. Is this a good way to motivate overweight people to make an effort? I would personally sign up for the program immediately, because I love healthy food and exercise and would consider the golden grams as a bonus. But most people who live in Dubai are already rich, they easily give out $45 as tips in restaurants as I have heard.. I think it will be difficult to stay away from the fried foods and sweets for some pocket money. Unless they're 300 pounds and can loose a 100 in one month.. Mmm yeah.. not gonna happen. I'm very curious of how this campaign will play out, and definitely hope I'm wrong! 50% of a country that is obese is certainly too much and something has to be done. Do you think this campaign will be successful? And would you put in the extra effort to loose the extra pounds if you would be rewarded with money or gold?